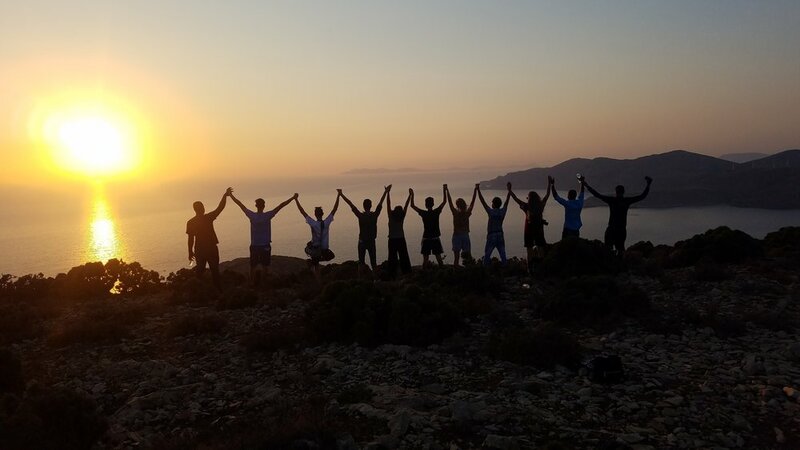 Farah spent two months on the Greek island of Leros volunteering at a refugee camp with Echo100Plus - a non-profit organization committed to creating community and safe spaces for the displaced. Among many powerful experiences, one of them was launching a theater program on the island. "Theater has a universal language through which community is created - The Hub proudly launched a theater program here at Leros this summer led by our volunteer Farah Bala, an actor/producer from New York City. We're lucky to have the local theatre company here on Leros join the initiative and continue classes with our residents. In the last month we created scenes in Arabic, Kurdish, Farsi, English, German, Italian, we worked on improvisation, character, storytelling, ensemble building and scene work. Here are some of our highlights with our teachers Farah and Juliett along with Lefteris and Irini, members of the Leros theatre troupe." Originally from Bombay, India, and now based in NYC, Farah is an Actor, Producer, VO Artist, Coach at the intersection of art, leadership and social justice advocacy. She was recently nominated for a Barrymore Award for Outstanding Leading Actress, alongside theater veteran Anna Deavere Smith. Click here to learn more about Farah.